The documentary, ‘Cutie and the Boxer’, opens with a big white blank canvas. An elderly man steps into the frame wearing only pants, eye goggles and boxing gloves covered in black paint. He proceeds to pound furiously on the material and there is an explosion of paint. This is the Japanese artist, Ushio Shinohara. While his artistic display demands attention, it’s the timid woman assisting Ushio who prickles your curiosity, his wife, Noriko. In this moment ‘Cutie and the Boxer’ superbly analyses the power of artistic expression and the complex nature of love and marriage. These themes are examined in elegant detail throughout this fantastic doco from filmmaker Zachary Heinzerling. 40 years of Ushio and Noriko’s marriage is squashed into Cutie and the Boxer and you can feel it in every moment. 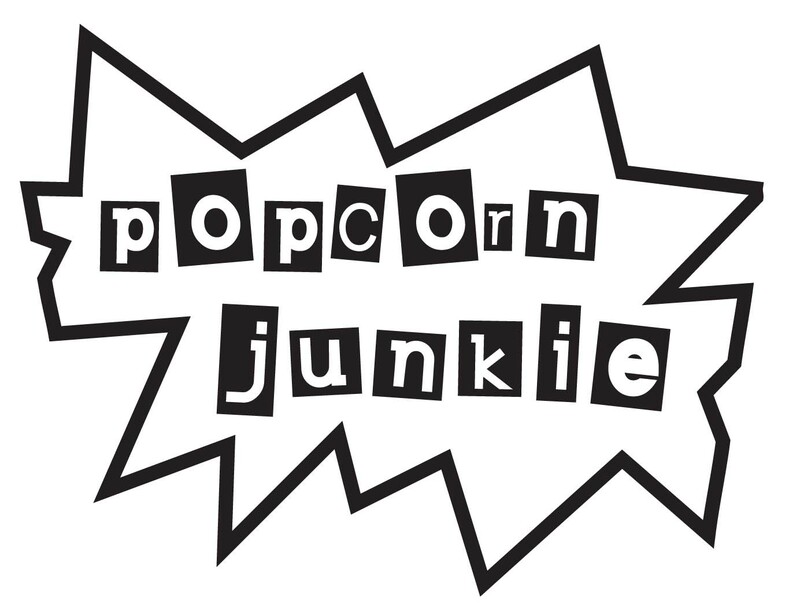 There is bickering, tension and enough marital zingers to fill a season of an American sitcom. It’s subtle and polite psychological warfare that’s very Japanese. Ushio’s career has all the critical acclaim but none of the financial success yet his big ego has endured. Visitors from prestigious art galleries, such as the Guggenheim, visit Ushio’s studio and heap praise on him but nothing ever eventuates. There are interesting insights into the art world and the superficial personalities who inhabit the creative spaces. Ushio and Noriko’s situation is heartbreaking because their lives are rich with doing what they love, but they have nothing to show for it. There is an amazing scene featuring home-video footage of a drunken Ushio having a breakdown about his beautiful but empty life. Sometimes it’s a little hard to swallow the sob story considering the couple live in New York City and aren’t at lowest point of the low socioeconomic scale but the tale still has an ache. Noriko cuts through all the posturing and paints the truth with her artwork that tells the story of a female character called Cutie and her brutish lover Boxer. Through Noriko’s work the story of her life plays out and it’s one of great sadness, poverty and love. Noriko details her struggles through Ushio’s alcoholism, botched financial art deals and struggling as a young mother who is unable to properly provide for her child. Art is her emotional outlet and despite the melancholic family portrait Noriko paints, her love for Ushio is unwavering and it’s tough watching her go by unappreciated. Ushio often recognises her as his “free assistant and chef”. It’s clear that Ushio loves her back, but he can’t express his affection because it seems like his caveman genes are still in activation. There is even an art exhibition of the pairs work featured in the film titled “love is RRROOAAARRRR!” It slowly becomes apparent throughout the doco that there is a remarkable artistic partnership ingrained in Ushio and Noriko’s union. The paintings of their son reinforce this notion as if paint is running through the family’s veins. Heinzerling shows off a completely different side of New York away from all the touristy vistas. Ushio and Noriko are like nuggets of arty gold nestled within the urban environment. 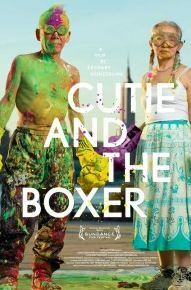 ‘Cutie and the Boxer’ emphasises that love is a battlefield, but it’s a war worth fighting for. Ushio and Noriko are fascinating company and Heinzerling has managed to explore complex emotional landscapes through their art and interactions. “It’s clear that Ushio loves her back, but he can’t express his affection because it seems like his caveman genes are still in activation.” Very, very typical Japanese male of his generation. Not a “caveman” – just different cultural norms.